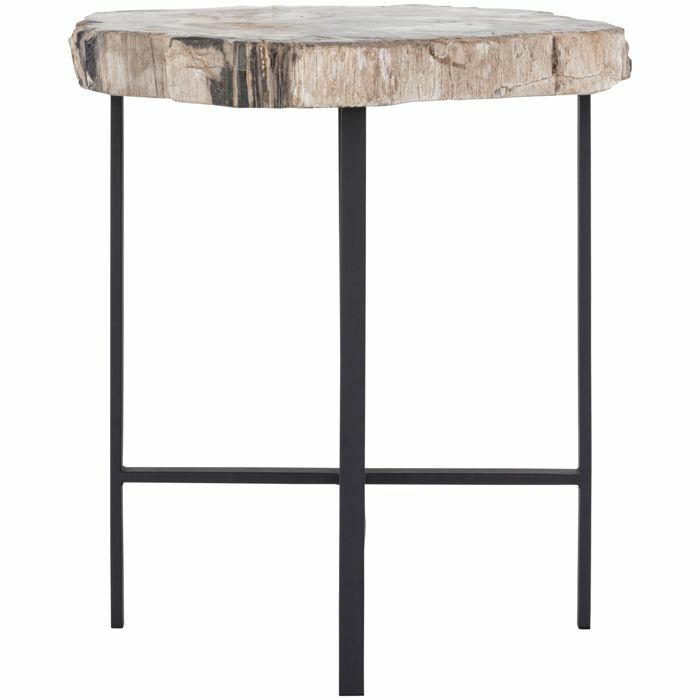 This table features a petrified wood top. 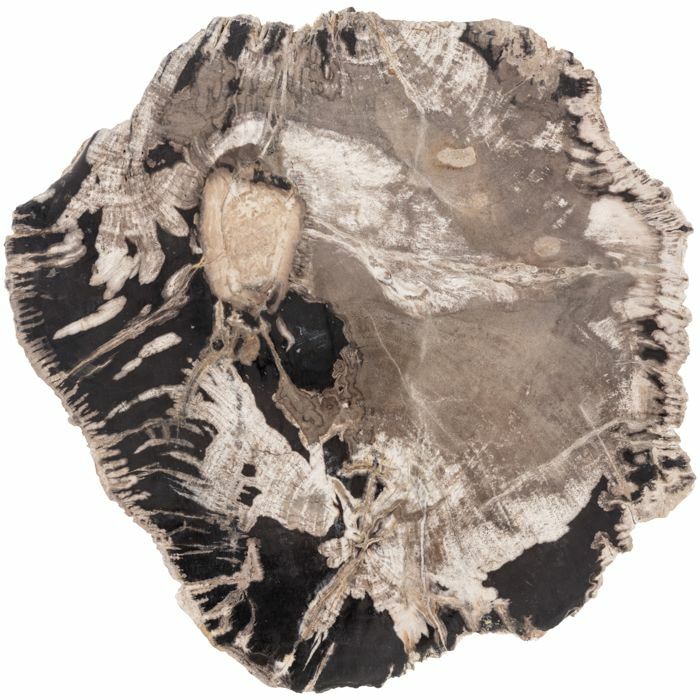 Petrified wood is formed when vegetation is fossilized over time. 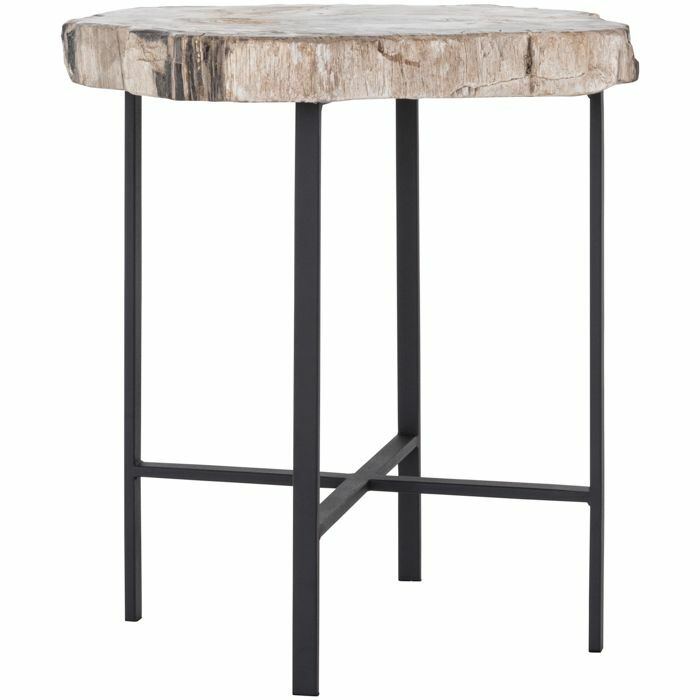 As this is a natural process, each table top will vary slightly.